Last Saturday saw Round 4 of the IKR Championship at the Three Sisters Race Circuit at Wigan and it was on the Valley circuit. There were 12 Cadets in total and two Honda's. Samuel qualified in 9th place overall and then finished 5th in heat 1. 5th again in heat 2 and in heat 3 he again finished in 5th place and set his personal best with a 52.679 second lap! For the final he finished 5th overall and beat his fastest lap with a 52.421! He also finished first for the Honda engines and claimed a podium finish. He enjoyed the day and completed some smooth and carefully manoeuvred overtakes against other drivers with faster engines with relative ease. Next race is on 18 August at Hooton Park! 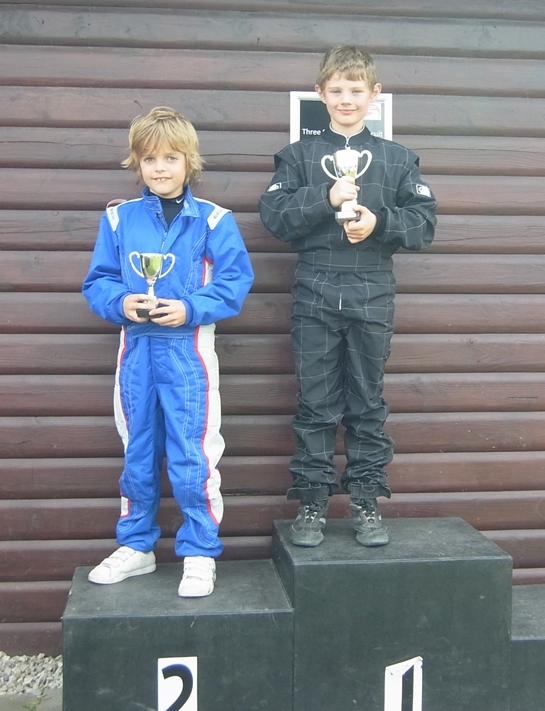 Cheshire Kart Club - August - Top Novice Again! Manchester & Buxton Kart Club - Top Novice!